This picture shows the efforts of the past two evenings. 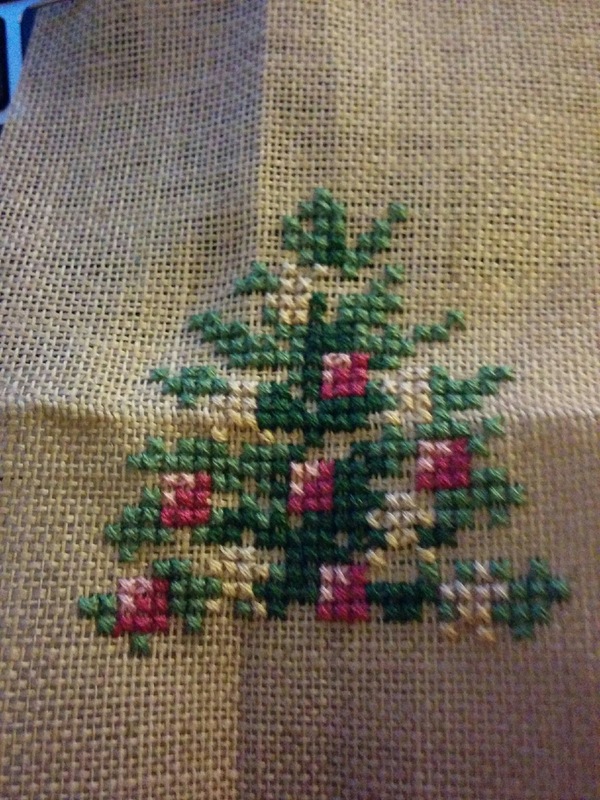 Here is the pinterest link for the pattern. I started the pattern on Tuesday evening in that time between coming home from curling and dropping into bed. I walked the dog, went ice skating and went curling on Tuesday so I was worn out from all of the activity! A headache from new glasses did not allow much stitching last night as I was exhausted from my head killing me all afternoon at work. Work is enough of a headache on its own, let alone new glasses pinching my nose and ears! 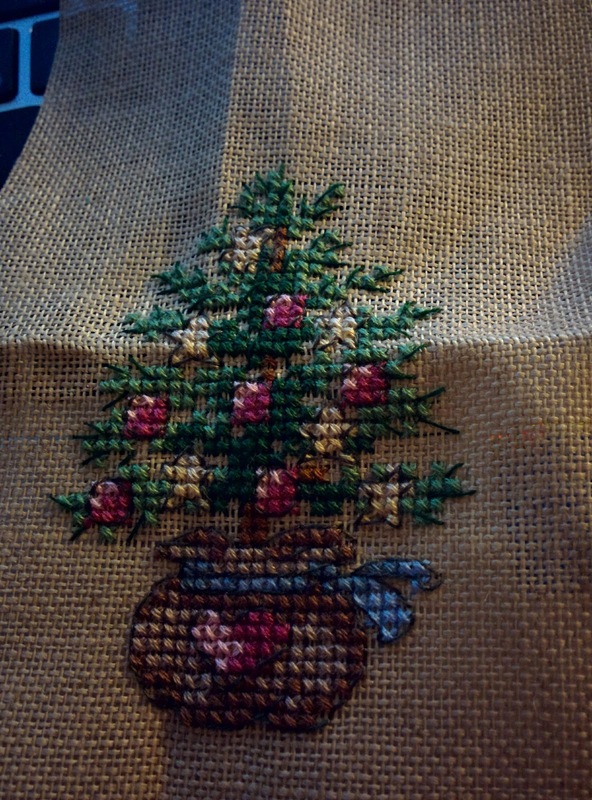 I hope to complete the piece this evening while I catch up on some tv shows, all curled up and cozy on the couch! Christmas tree five of six.